Recently, Tech Jedi Knight and Friend to Captain Solo, Vlad Kytainyk (who also serves as the CTO of KitRUM) sat down for an interview on emerging technology trends. The interview can be read in full here. Some take away thought from the interview. 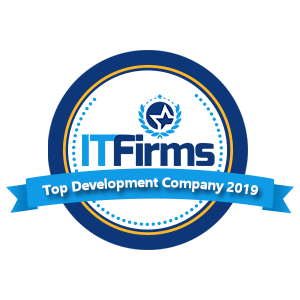 KitRUM has been working with clients since 2014, sourcing the top guns of the software development scene in Ukraine and Poland for working on projects around the world. KitRUM is targeting the healthcare and financial sectors for clients. Boldly, Vlad predicts an 8% growth in 2019 over last year in the software development industry. KitRUM believes that having the right people onboard is what makes their firm such a success. With that said, it can’t be understated the role that support roles play. Every day, market data collected by research agencies is consumed voraciously by management in order to make the best decisions. As well they should, as management within IT firms is one of the key drivers of success. When working with clients, KitRUM has a carefully planned out process. In a borderline OCD manner, they take time to learn all about the client with their needs and expectations. Next the implementation team (a Software Architect and a few programmers) is gathered together in a summoning ritual by HR(phone call) At product launch, the Quality Assurance guys come and give the final thumbs up.